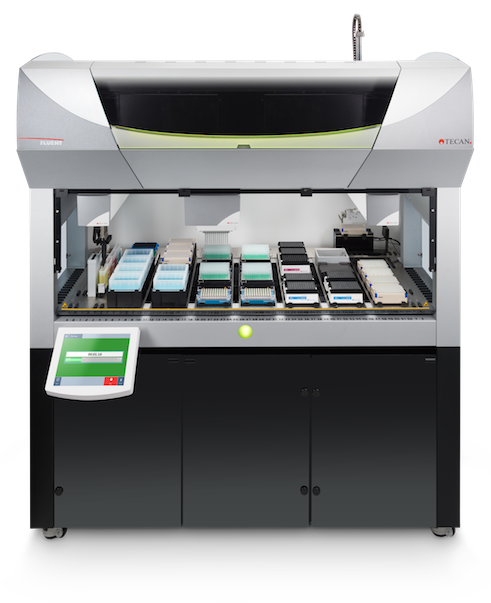 Automation of PCR set-up allows reaction volumes to be reduced while increasing throughput and reproducibility. The D300e Digital Dispenser offers significant sample, primer and reagent savings, and greatly reduces workflow times. Its dispensing precision allows accurate results to be achieved in very small reaction volumes, enabling scientists to perform more experiments with the same amount of samples and reagents. Using the D300e’s PCR wizard, setting up qPCR reactions becomes a matter of minutes. In just four guided steps, you can create even complex plate layouts with standard curves and varying template concentrations. In addition, the exceptional low volume dispensing capabilities of the D300e allow you to reduce your total assay volumes. Samples, primers and master mixes were pipetted manually or using the D300e to create total reaction volumes of 5 or 12.5 µl in a 96 well plate. Data points are average values of triplicate measurements, and error bars represent standard deviations. The TouchTools™ PCR Wizard offers straightforward automation of PCR reaction set-up on Freedom EVO 100-200 instruments, using a high precision air displacement pipetting arm, or on a Freedom EVO 75 using the two-channel option with disposable tips. The wizard simplifies reaction set-up for a wide range of applications – from endpoint, real-time and multiplex PCR protocols to sequencing, genotyping and gene expression methods, as well as pathogen and mutagenesis detection. The Dittmer Lab at the University of North Carolina is investigating the biology of viral cancers using a Freedom EVO® 150 with an integrated LightCycler® 480 Real-Time PCR System. This versatile set-up provides automated qPCR-based analysis for viral gene and microRNA expression profiling, as well as viral load testing of clinical trial samples. Fluent’s groundbreaking design delivers more capacity and increased speed for genomic workflows, particularly for automated reaction set-up. This innovative solution offers excellent precision, outstanding troughput and increased walkaway times. Built-in touchscreen interface guides users through daily tasks for fast, consistent operation. Integrated user management, including method permissions, ensures secure protocols and optimizes selection for each user. Automate more of your genomics workflow – including reaction set-up for endpoint PCR or qPCR, hybridization and Sanger or next generation sequencing – with a dedicated on-deck thermocycler (ODTC®) from INHECO. This cycler combines an ultra-compact design with exceptional thermal performance for faster cycling times. It can be flexibly integrated into the Freedom EVO to suit your workflow automation needs. PCR cycling methods can be set up with INHECO’s script editor software and selected for a specific run using Freedom EVOware®. After the start of a run, Freedom EVOware drives the opening and closing of the ODTC and starts the PCR method for up to 10 integrated ODTC devices. 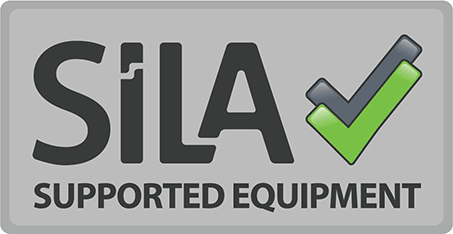 The INHECO ODTC uses the SiLA standard for software control, and can be controlled by the Freedom EVOware SiLA driver, V1.1 or higher. Repetitive manual pipetting and tedious serial dilutions for drug discovery assays just became a thing of the past. With Tecan’s D300e Digital Dispenser, you can automatically dispense any volume into any well of any assay plate, quickly and easily. Simply add your liquid to the Dispensehead and let the instrument do the rest. The TouchTools™ PCR Wizard offers straightforward automation of PCR reaction set-up on the Freedom EVO® PCR workstation, using the high precision Air displacement pipetting arm (Air LiHa). Fully automated reaction set-up for complex PCR plate layouts, with up to 96 master mixes and multiple PCR plates per run, plus individual controls and dilution curves. Automate more of your genomics workflows – including reaction set-up for endpoint PCR or qPCR, hybridization, Sanger or next generation sequencing – with a dedicated on-deck cycler from INHECO. This Application Note describes automated qPCR set-up with the KAPA™SYBR® FAST qPCR Kit on the Fluent® Automation Workstation with minimal hands-on time. In the TouchTools™ user interface, the number of samples, master mixes or replicates can be chosen from a drop-down menu or input manually. Optional procedures include generation of a standard curve with a variable number of dilution points. Typical set-up times are 25 min for a 96-well plate. DNA profiling of endangered species by PCR at the Institute for Environmental Protection and Research.